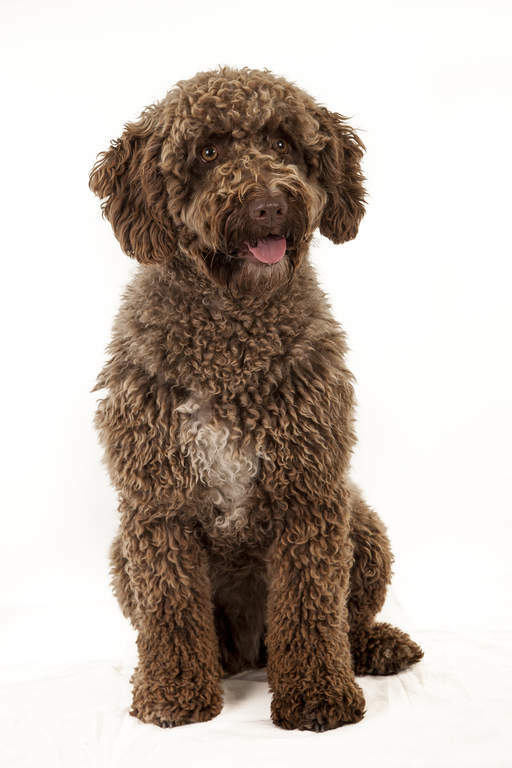 The Spanish Water Dog is one of the lesser known breeds here in the UK, although their numbers are slowly rising with more pedigree puppies being bred and registered with The Kennel Club every year. The SWD is a medium sized dog that boasts having a distinct and attractive corded coat that covers their entire body. They are intelligent dogs with a tremendous amount of stamina which is one of the reasons they have always been so highly prized for their sporting abilities. However, the Spanish Water Dog is just as happy in the home environment and thrives on being part of family which makes them a great choice as a family pet thanks to their kind and loyal natures. 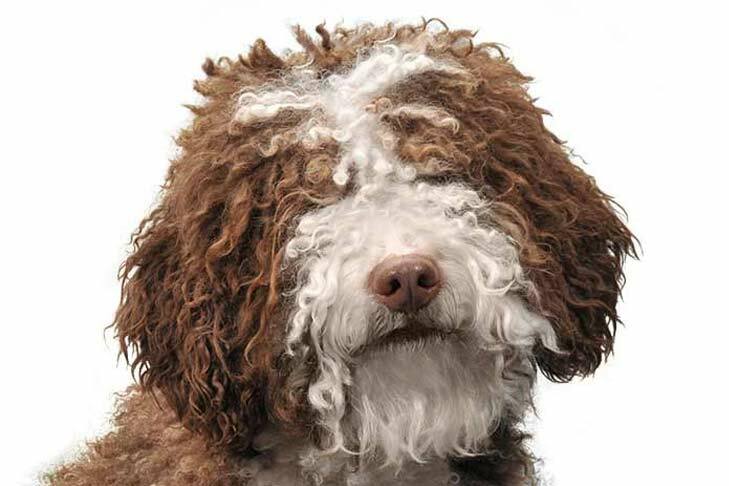 If you were to imagine a medium-sized dog with thick, curly fur and a penchant for herding, you might be thinking of the Spanish Water Dog. These dogs are an old Spanish breed that has been used for herding for many centuries. 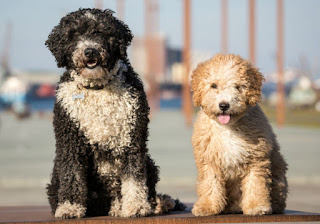 The Spanish Water Dog is a highly intelligent breed that does best when given a job to do but, at the end of the day, they love nothing more than to spend time with family. The Spanish Water Dog boasts having a tremendous sense of smell, sight and sound. As such they are true working dogs that enjoy nothing more than being out and about in the great outdoors. They are intelligent and sensitive by nature being just at ease in a home environment as they are working in the field. They form strong bonds with their owners and families and are known to be even-tempered dogs which is just one of the reasons they make such great family pets. They are also known to have a very enthusiastic personality which sees these dogs being ultra-willing and eager to please. However, puppies have to be well socialised from a young enough age for them to mature into well-rounded, obedient adult dogs. They are a great choice for families where the children are slightly older and who therefore know how to behave around dogs. Spanish Water Dogs tend to be a little aloof and wary of people they don't already know, but rarely would one of these dogs ever show any sort of aggressive behaviour towards a stranger, preferring to keep their distance until they get to know someone. They are not the best choice for first time owners because a Spanish Water Dog needs to be handled and trained by someone who is familiar with this type of sporting dog and their specific needs. However, in the right hands, these striking dogs can be trained to be obedient dogs with particular attention being paid to the "recall" command. They are never happier than when they know their place in the pack and who they can look to for direction and guidance. They also need to know what an owner expects of them which in short, means their training has to be consistent and always fair right from the start and then throughout a dog’s life. As their name suggests, SWDs love being in water and are naturally strong swimmers which means care has to be taken when walking them anywhere near more dangerous water courses just in case they decide to jump in. While the SWD seems to be a very healthy breed there are some issues that it has, just like all other breeds. There are cases of hip dysplasia in the breed, so choose your breeder carefully. All breeding dogs should have their hips tested, either by OFA or PennHIP. There have been a few cases of PRA reported in Europe so it is advised that all breeders should test their breeding stock for PRA and other such genetic eye diseases with a yearly CERF exam. A responsible breeder will be able to produce the results in writing. Like other Water Dogs and related breeds, they grow hair in their ear canals and can be prone to ear infections. The ears must be kept dry and clean. Because these dogs are (as a general rule) so active and energetic as puppies, they may seriously injure themselves from too much running and jumping when their skeletal structure is still developing. The Spanish Water Dog can adapt to almost all environments or circumstances, as long as it gets enough exercise. These hardy dogs can endure both extreme heat and cold with no problem. The Spanish Water Dog is an intelligent character, but they do have a bit of a "wandering off" streak in them which is why it's so important to teach these dogs a strong "recall" command from a very young age. With this said, socialising them from a young enough age is extra important and their training also has to start too. It's best to teach a SWD the basics when they are still puppies and to start their training in earnest as soon as they have been fully vaccinated and slightly older. Being sensitive dogs by nature, a Spanish Water Dog does not respond well to any sort of harsh correction or heavy handed training methods. The key to successfully training them is to use positive reinforcement and to make a training session as interesting as possible. 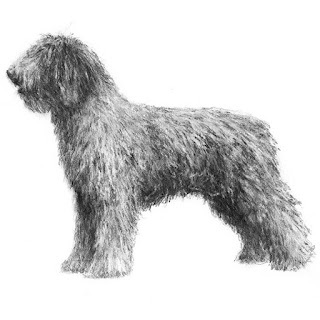 It’s best to keep things nice and short without too much repetition which helps keep a Spanish Water Dog more focussed on what is being asked of them which as a result achieves the best results. Because the Spanish Water Dog is a herding breed it has fairly high requirements for exercise. These dogs require at least 30 minutes of moderate exercise per day plus some active play time, if possible. Training these dogs for herding or other dog sports is a great way to meet both their physical and mental stimulation needs. Spanish Water Dogs make great family pets in households where the children are older and who therefore know how to behave around dogs. With this said, any interaction between younger children or toddlers and an SWD should always be well supervised by an adult to make sure things stay nice and calm. If they have grown up with a family cat in the house, they usually get on well together, however, a Spanish Water Dog would not hesitate in chasing any other cats they don't know. Care has to be taken when they are around any other smaller animals and pet, just in case. Is the Spanish Water Dog the Right Breed for you? 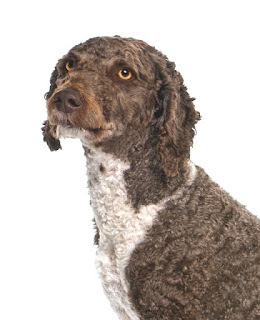 Easy Training: The Spanish Water Dog is known to listen to commands and obey its owner. Expect fewer repetitions when training this breed.